When IT problems occur, business managers need them to be resolved in the quickest possible time and with the minimum of fuss and effort by a reliable IT Support Company. Telephone support enables you or your designated contact to talk to a consultant/engineer who has expertise in the key areas that you need, as and when required. This helps to reduced costs for you as you do not have to employ dedicated IT staff. 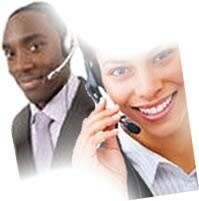 Telephone support calls can be accepted from any users you designate within your organisation. This has a distinct advantage for the business in question as, over time, the designated IT contact becomes familiar with common problems and is thus able to resolve user problems instantly, thereby reducing downtime. This transfer of knowledge can be enhanced through our remote IT support service as the designated contact can also watch our support staff conducting remedial work in real time on a screen in front of them, while being instructed as to the nature of the problem over the telephone. 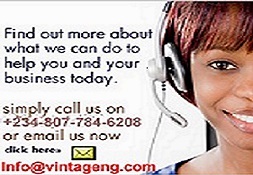 From our inception, Vintage Technologies set out to provide a better quality of IT service to businesses. One of the main advantages of Vintage Technologies' IT support services over other IT companies is the fact that we don't differentiate between support and IT management/administration time. This means that if you buy an IT Support Contract from us, but you want us to spend some time on routine administrative tasks, like adding new users to your system, you won't pay any extra for it and can allocate unused support time for this purpose, thereby saving your business valuable costs. When a computer problem occurs, the user is often unable to work at all and is therefore unproductive, which in turn means your business is losing money. Speed is therefore of essence in responding to IT support requests, which is what makes the combination of telephone and remote IT support so effective. On receiving a request for IT support by telephone, Vintage Technologies attempts to acknowledge and answer all calls for technical support instantantly..
Our working hours are 8.00am to 5.00pm each weekday, excluding weekends and public / bank holidays. If, however, your business operates outside these hours, we can arrange suitable support accordingly. With Vintage Technologies as your IT support company, your business gets the cover it actually needs, not just the support the IT Company wants to provide. It is a prepaid service, a customer make use of the number of hours that they pre-pay for each month/quarter/year. By pre-paying , clients benefit not only from our Service Level Aggrement(SLA) but also from a reduced hourly rate. This pre-bought support time can be called up any day during the standard support hours. As mentioned above, it can be used for administrative tasks too, which simplifies the business of providing effective IT support and management of your computer networks and systems. Almost all our customers follow our recommendations and purchase Support contract , which has an overall beneficial effect by reducing overall costs; something the Finance Director is sure to appreciate.